Police have released video showing the moment a BMW 4 Series fell seven stories after driving off the edge of an Austin, Texas parking garage—the second such incident to happen in less than a year, which is terrifying. 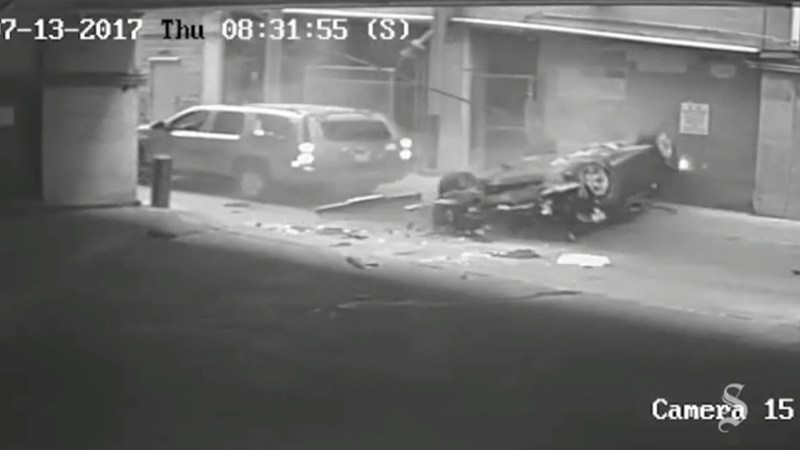 The video, via the Statesman, shows the BMW 4 Series come crashing down on top of a reversing SUV, followed by witnesses rushing to rescue the woman trapped in the car. This is the second time a car has fallen off the Littlefield Parking Garage in Austin in less than a year, after another car was caught dangling off the side of the building in September of 2016. Following this most recent incident with the falling BMW, the garage claimed in a statement that this had never happened over 38 years prior to the first incident, and that a structural engineer had been hired to approve their safety barriers and the City of Austin had been satisfied with repairs made. The woman in the BMW had been sent to the hospital with serious but not life threatening injuries. Perhaps the parking garage should hire a new structural engineer to just, I don’t know, build a solid concrete wall or something.